Don’t you just love the cute fluffy little bear that giggles and rolls around in his soft and cuddly towels and laundry? We’ve been sold the idea that our clothes have to be super soft and snuggly, and smell of lilacs and wildflowers and rain in the mountains. But what is really lurking in those fabric softeners that make our clothes that way? While it’s important to avoid conventional fabric softeners, which is something I’ll be discussing next week in my guest post at Green…Your Way, many of us still like our clothes to be soft and smell nicely. If you’re unable to hang your clothes out on the line, or if you want to soften up your clothes or towels after you bring them in from the line, these natural homemade fabric softener sheets are a great alternative to chemical and fragrance filled conventional dryer sheets. Of course, it’s best to use these along with a natural detergent for a complete natural laundry routine! 1. Start by cutting your flannel into strips or squares. I made strips because they work best for rolling up as in the very top picture (the strips are folded in half the long way in the picture above). 2. Mix together 1/4 cup of natural fabric softener with 3/4 cup of water in a small bowl. Use warm/hot water to help it mix better with the softener. Use a fork or a whisk and mix quickly, but it may be a little separated and not completely combined – that’s okay. 3. Place your wipes inside the container you are going to store them in. I usually use a repurposed disposable wipes container. You could also roll your wipes together* and stand them up in a glass jar so you can pull a wipe out from the middle. Honestly, I’m too lazy to do this most of the time, but it is convenient and looks pretty! *To roll your wipes up, lay them out in a line so they are overlapping. The more they overlap, the easier they are to pull apart from the middle of the roll. Lay your first strip down and then lay the next one over 3/4 of the first strip. Then lay the third wipe down so it is overlapping 3/4 of the second strip, and continue until all your strips are laid out in an overlapping line. Start rolling up the stripes, making sure to grab the underneath strips as you roll. Once they’re all rolled up you can place them in a jar or other upright container, and start pulling the wipes from the middle of the roll. I hope that makes sense, sorry I didn’t take a picture to better show you how to do this step. 4. Pour your softener and water mixture over the wipes and shake gently to combine. Let sit for at least an hour so the wipes can absorb the solution before you use them. 5. Shake the container a little before using, and add one sheet to the dryer with each load of laundry. It’s okay if the solution is not evenly distributed on the wipe, or if the wipe is not completely moist, it will still work just fine. 6. Dry your clothes as usual. Enjoy your soft, lightly scented, and chemical free clothing! If you want to use fabric softener as a part of your laundry routine, this is a great way to save money and extend your bottle of natural fabric softener, which can be a little bit pricey. You can also use Ecover’s Fabric Softener to make a great natural air freshener . 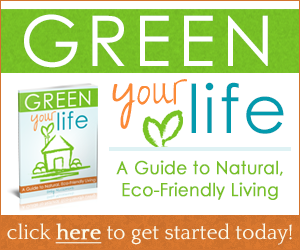 If you’d like to learn more about living green and living frugally I’d love to have you as a Live Renewed reader! You can subscribe, either by email or in a reader, to get the latest posts, ideas and inspiration for living frugally green. We’ll be talking all about natural laundry in June, I’d love to have you join with me! You can also connect with me on Twitter and Facebook! I’ve been wanting to do this for a while now. Thank you for the detailed post! Where do you buy the Ecover softener? 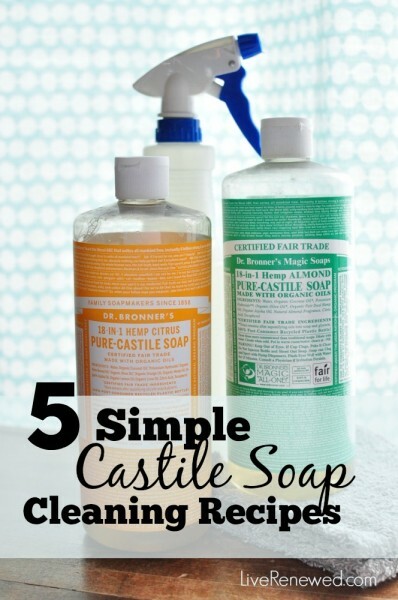 I have purchased mine at a local health food store that has a great selection of natural cleaning products, but I think that you will probably find the best price by ordering it online. I do think that wool dryer balls do a pretty good job of making clothes softer. I really don’t have trouble with static in the summer time, just in the winter, and I do feel like the dryer sheets help with the static then. Do you live in a really dry climate? I usually just use one sheet when I use them, but sometimes for towels will throw in two. My sheets are strips that are about 2 inches wide and maybe 6 inches long. I’ve never had trouble with mold spots on them, so I don’t know about that? I use my batches up pretty quickly, but have had some sit for a couple weeks without problem. Vinegar might help, or maybe an essential oil like tea tree oil, or lavender? And, I keep my container on the shelf with the laundry detergent, next to the dryer, but not on it. I hope you can figure out a way to make these work for you. Let me know if you have any other questions. I think my clothes are probably as soft & static free as it gets. Nothing beats commercial dryer sheets, but I refuse to use them anymore! I’m going to make a smaller batch (bigger isn’t always better) and add vinegar or the TTO. As well as moving them to a different spot! Thanks for the reply, it was really helpful! And I bet it will make the most difference in the winter months! Awesome. I just use a vinegar rinse in my washer (with a downy ball) to cut out static and then dry in my dryer with dryer balls. Works for me! I do the same thing. I always use vinegar in the rinse cycle and use dryer balls when we have to use the dryer. Haven’t missed the softener and enjoy the fact that our clothes have no scent…they are truly clean. If fact, when we get hand-me-downs from friends now, I have to rewash them b/c I can no longer stand the artificial fragrance of chemical detergents. I use vinegar, too; never used dryer balls. We had to switch because some of the people in our house are sensitive to chemicals. Do you notice that big a difference with the balls? I can get away without the dryer balls for summer clothing, but for heavy weight winter clothing the dryer balls really seem to make a difference in keeping away the static. For blankets and our heaviest sweatshirts, I sometimes toss in two sets of dryer balls. My son with allergies has not been bothered by them. What is in the Ecover fabric softener? 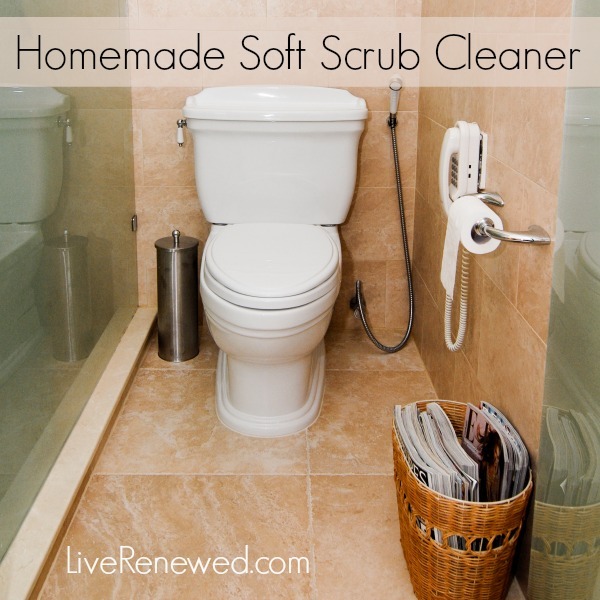 I heard that regular fabric softeners have wax in it, which is bad for your dryer. Is Ecover brand any different? 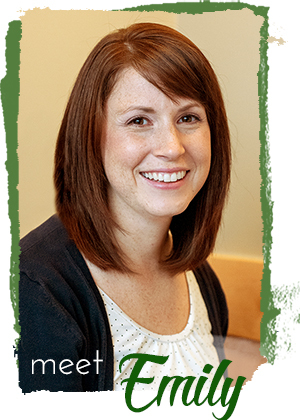 Hi Jennifer – Thanks for stopping by! As far as I can tell from my research, these ingredients are safe, non-toxic, and plant based. As opposed to petroleum based, toxic chemicals that are found in conventional fabric softeners. I’d encourage you to do your own research if you have further questions about the safety of using this product in your dryer. Thanks for your question! Dipropylene glycol is a by product of the production of Propylene glycol, which is produced from propylene oxide. Propylene oxide is an classified as a organic compound with the molecular formula CH3CHCH2O. However, the term organic compound is used in Organic Chemistry to classify compounds. All it means is that the compound contains carbon. Propylene oxide is produced using isobutene or ethylbenzene. Ethylbenzene is found in small amounts in crude oil, but more often is produced by chemical reaction combining benzene and ethylene. Benzene is a natural component of crude oil. Ethylene is a plant hormone. Isobutene is produced via chemical reaction from Isobutane. Isobutane is an isomer of butane, a component of crude oil. Do you know if they have another way to derive it? I would be very interested to know if they do. I love it when a chemical can be replaced by a fully plant derived one! I don’t know if I offended you or if you just don’t believe what I had to say but I was surprised that you never responded to my comment. Apparently I am not the only one to notice that companies are being misleading. I hope you find this article informational. Thanks so much for your comment and for the link to the article. You definitely did not offend me, and I appreciated the time that you took to comment and to research the ingredients of the product. I agree with you, and with the article, that there are companies out there that are claiming that their products are more “green” than they actually are. I did find it interesting though, that the article did not seem concerned that the Green Works detergent had only 98% plant derived ingredients. I would think that means that the other 2% would be petroleum derived. When you first commented, I had every intention of responding to you, but didn’t get to it right away and then, honestly, it slipped away from me. The reality is that I am really, really busy right now, and at this point, I don’t have the time to commit to the research it would take to find out if there is an alternative method for producing dipropylene glycol, but I would guess you are probably correct, that it is derived from petroleum. I would be interested in contacting the company themselves and asking about their ingredients and the amount of petroleum based ingredients found in their products, but again, just don’t have the time right now. If this is something you’re interested in doing, I’d love to hear what they have to say about it. Again, I do appreciate your comments and the time you spent looking into this. I value you as a Live Renewed reader and I’m sorry that I didn’t respond to you sooner! LOVE THIS IDEA WILL B TRING THIS.THANK YOU! Will these fabric softener sheets take care of the static? Yes, the definitely help with static. I can’t promise that they will totally take it away during the dry winter months because I’ve only been using them myself for a few months myself. Thanks for stopping by Live Renewed! About how many uses do you get from each sheet before more fabric softener needs to be added? Thanks for your question, I usually make 15 sheets per batch, and you have to add fabric softener to the sheet after each use. Because they dry in the dryer with the clothes, you only get one use out of them, there is no more fabric softener left on them. If you had extra water & softener left in your container, you could probably add the dry sheets back to your container and shake to re-wet the sheets without having to make a whole new batch. Thanks for being a Live Renewed reader! Hi – how many squares do you use per batch made? And, how many times can you use a sheet before you have to re-do the wetting process? I make about 15 sheets per batch, just because that’s how many strips of felt I have. You can only use the sheets one time before you have to re-wet them. See my response to Beth for a more detailed answer. Thanks for your questions! Have you tried Seventh Generation Fabric Softener? It’s usually cheaper than Ecover and comes in lighter scents and unscented. I could not use Ecover for the strong smell. Thanks for the recommendation Heather! I might have to try that out! I’m stoked to try these! I don’t have any flannel shirts though so I’ll try it with old well loved cotton t-shirts. Has anyone done it with a cotton shirt before? I’m wondering if it will be as effective. If so my favorite Rolling Stones shirt might get some use again! Thanks Sheilah! I think it would probably be fine with cotton. The reason I used flannel is just because it’s a little thicker and more absorbent, but cotton should work too. Maybe just make the squares a little larger so there’s more material to soak up the softener. I’d love to hear how it works for you! This is a really cool post. I use Shaklee and they have a all natural fabric softner, I am very excited to try this!! Thanks Kelli! I’d love to hear how they work for you! I am also curious how many uses you get before you need to “re-treat” the sheets. Also, this might be a good use for old holey socks. You only get one use out of each sheet. See my response to Beth for a more detailed answer. I think this would be a great use for old holey socks! What a great way to repurpose something that is basically otherwise useless! Thank you Emily for the speedy reply, and for the excellent ideas that you share here. I just made this and have my first sheet in the dryer! Can’t wait to see how the clothes come out! I used one baby receiving blanket and it made twenty sheets which fit perfectly, folded into a pull-up disposable wipes container. Great Sarah! I’d love to hear how you like them! 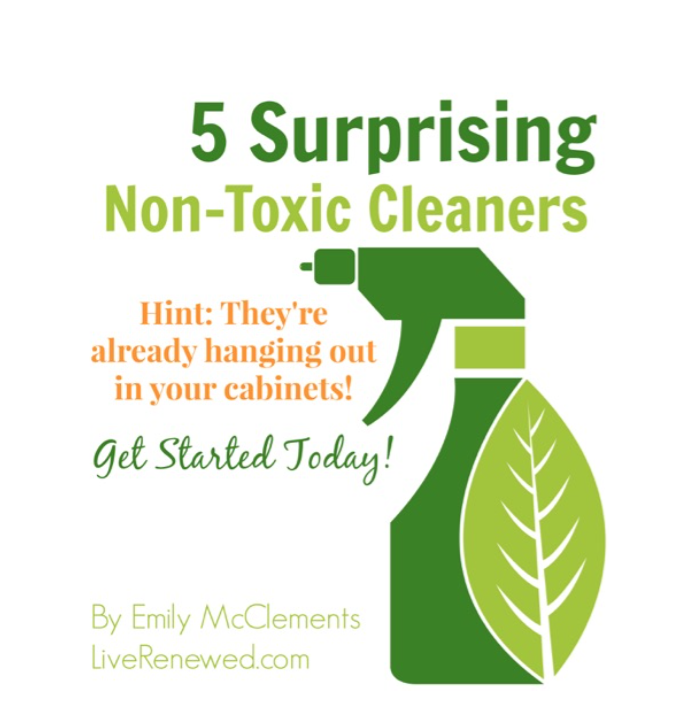 I can’t wait to try this…do you think I could add essential oil to scent the dryer sheets? You probably could add some essential oil to the dryer sheets, but to be honest, they really don’t need them because of the scent from the fabric softener. And you’d have to be careful not to add too much, because you wouldn’t want to get oil stains on your clothing. Yes, after smelling the fabric softener I decided not to add essential oil. And they turned out great! Thanks! Thanks so much for your respone back! I may see if I can contact the company and get some info from them. 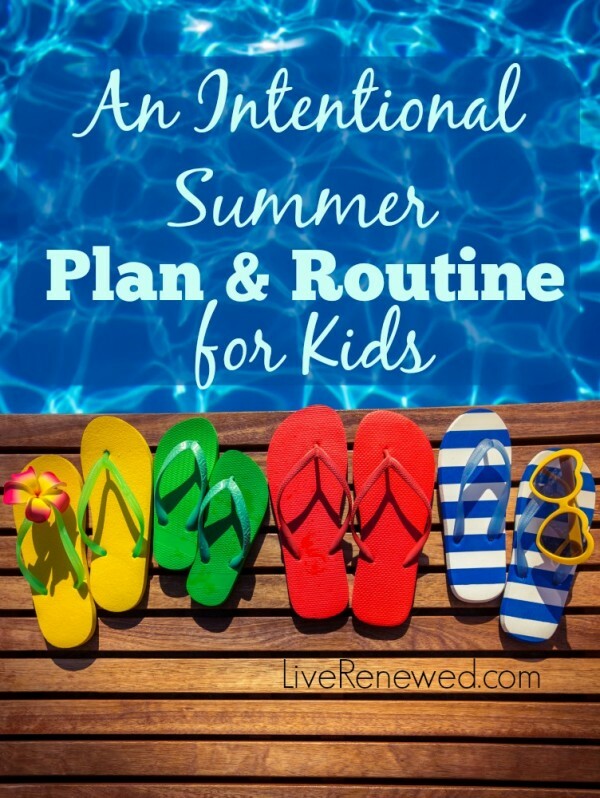 You have a wonderful blog and I have really enjoyed following it since I stumbled upon you! I did find it odd that 2% was apparently considered okay? You would think that companies would be required to put on their label just how much of their product is made of petroleum derived chemicals. It would make it a lot easier for those who want to avoid those chemicals to find what they want. Thanks again! I also kept the container on the dryer, which is a warm environment. Thanks Sheilah! I always use vinegar in the rinse cycle and use dryer balls when we have to use the dryer. I’ve done this before but with old unmated socks or holey socks. waste not! My friend and I started a laundry service from our homes a few years ago. We found a little tip that we use on every load now. White vinegar. Add 3/4 cup into the rinse cycle and it acts as a natural fabric softner, saves money, is eco-friendly, prevents fading and helps keep your washing machine clean. hi Emily, i just made about 3 batches of dryer sheets cuz i had a big piece of flannel material and a larger container. than i read the comments and found these could mold.would it help to keep container in frig?? I haven’t had a problem with mine getting moldy, even after sitting for a while. 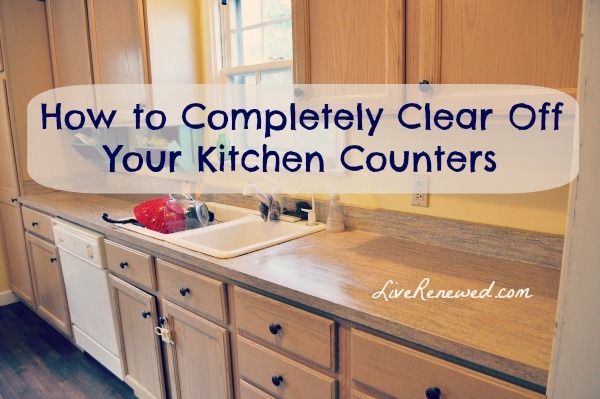 You could add a couple of splashes of vinegar to them, that could help keep the mold away. Also, make sure you don’t keep them on or too near the dryer, which is a warm environment and can encourage the growth of mold. I suppose you could keep them in the fridge, but I’m really not sure that’s nexessary. Hope that helps, and hope they work well for you! My mother is 85 years old, and was a young girl growing up in the Great Depression when they had “nothing.” We live out in the “back 40” in Alabama, and ALWAYS have a garden every summer. You get really sweaty and dirty working in the garden, picking peas, corn, and tomatoes, shelling, shucking corn, etc., etc., etc. It is extremely hot and HUMID in the South, so almost everyday, your clothes are going to get wet, one way or another. We have to WASH a lot!!!! Wet, sweaty clothes smell pretty bad (from body order), so we do use dryer sheets, often. But we do have a “small” clothes line made from a curtain rod on the back porch, and we do hang tee shirts out to dry often. There is nothing that smells better than sun dried clothes. But we have often run out of dryer sheets..and that is where my 85 year old mother comes in to play. We never through a towel or pillowcase away….because the can be used for a multitude of task work. When we run out of dryer sheets, and have to us the dryer, we get an old towel, spray it with a bottle full of half water, half rubbing alcohol (and Vodka works nice too!) and spray on the old towel. The towel must be dry. Throw it in with the wet clothes…and they come out soft each and every time, and they smell really good, and it gets the wrinkles out much better (no kidding). If we hand wash “anything” and place in the dryer, we still throw in the old dry towel. It speeds up the drying time. Sometimes, though, we take off our tee shirts and shorts, spray with the Sports Febreeze, and hang from tree branches to dry (oh yes we do!) and by the time the sun goes down, they are clean, smell good, and ready to use again the next day, outside. Sometimes, I will grind up some fresh herbs, like lavender, lemon sage, rosemary, and throw in the water-alcohol spray. It adds a little “fresh” smell to the clothes before throwing in the dryer. 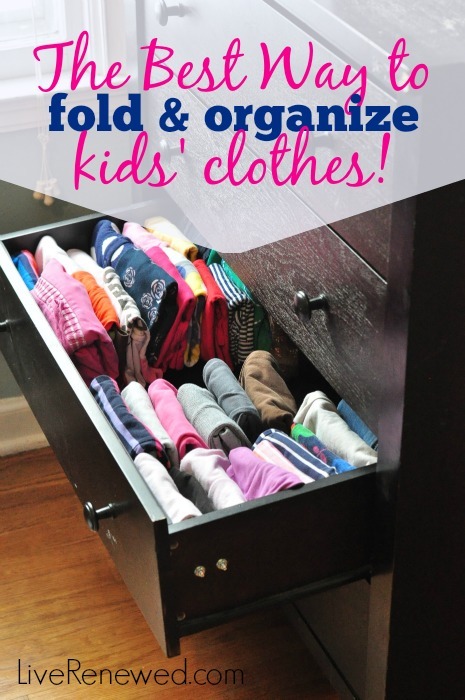 We also keep some of the old dryer sheets, spray them, use them again….works just as good! Another plus….keep some of the water-alcohol spray in the fridge. When you come in hot and sweaty, spray some on your arms and back of neck…it brings your body temperature down, and you cool off quicker, and feel refresh. Lemon juice works good on cut up small towel sheets for the dryer also. My mother was “green” before it ever became cool…it wasn’t a “choice”, it was a natural way of life during the depression. Of course, they didn’t wash clothes except for once a week, on wash day, which was always Monday. And you “ironed” on Tuesdays! I use a sponge in my “dryer sheet” mix and then i set it out, let the sponge dry and use it a few times because i found that the wet “dryer sheets” were leaving spots on my clothes…hard to see, but you can definitely see them under a black light lol. But other than that, love this. That’s an interesting idea Stacey, so do you set the sponge out and let it dry before you put it in the dryer? I’ll have to try that! yes, it usually takes a day or two, maybe more maybe less depending on the weather and the humidity where you live. I would put my mix in a bowl that i could put a lid on that way, i would not waste any and after the sponge was all used up, i would dip it again, i usually have a second one already ready to go into the dryer so I dont have to wait on the second one to dry. Thanks for explaining that Stacey, I’ll have to give that a try! Sometimes, I will grind up some fresh herbs, like lavender, lemon sage, rosemary, and throw in the water-alcohol spray. My friend and I started a laundry service from our homes a few years ago. If we hand wash “anything” and place in the dryer, we still throw in the old dry towel. Love the ideas!! 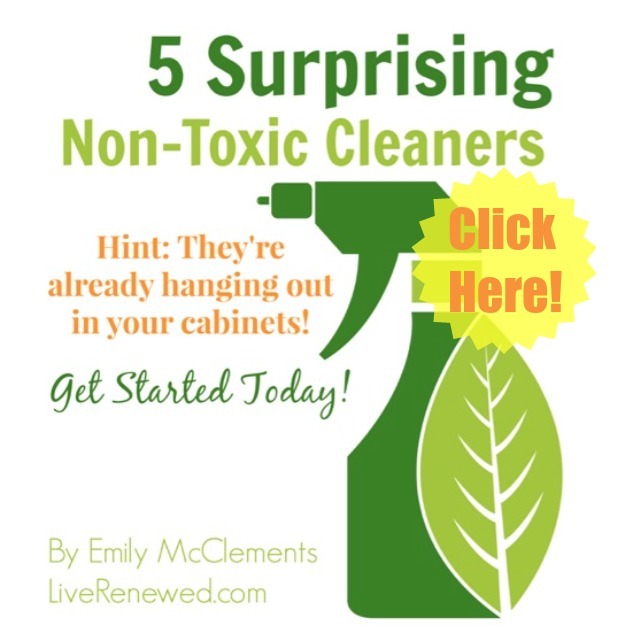 Just found this through CleanMama, but I had a question. Could you just put the water/fabric softener mix into a spray bottle and give a couple squirts into the dryer before starting? I’m just wondering, what’s the width length for cutting strips and what size should be cut for the squares. I’m planning on making my own homemade dryer sheets, but I don’t want to cut the strips or squares to big or to small. And what could be used as flannel fabric? Would any towels or even possibly wash cloths work? I really don’t think there is an exact size that the squares need to be. Just the right size to fit in the container you will be using. Mine are about 3-4″ long and about 2″ wide to give you an idea, but that’s not a specific measurement. You could definitely use towels or wash cloths – any kind of absorbent material would work. Theses look great. I will also try Seventh Generation as well as visit Joanne’s fabric for the flannel. They usually have fabric at 50-75%off.